It’s Qrunch time…and veggie burgers have never tasted so good! Sometimes a product comes along…and it’s intriguing. It sounds like it could be the most amazing thing ever. It’s vegan. It’s gluten-free. 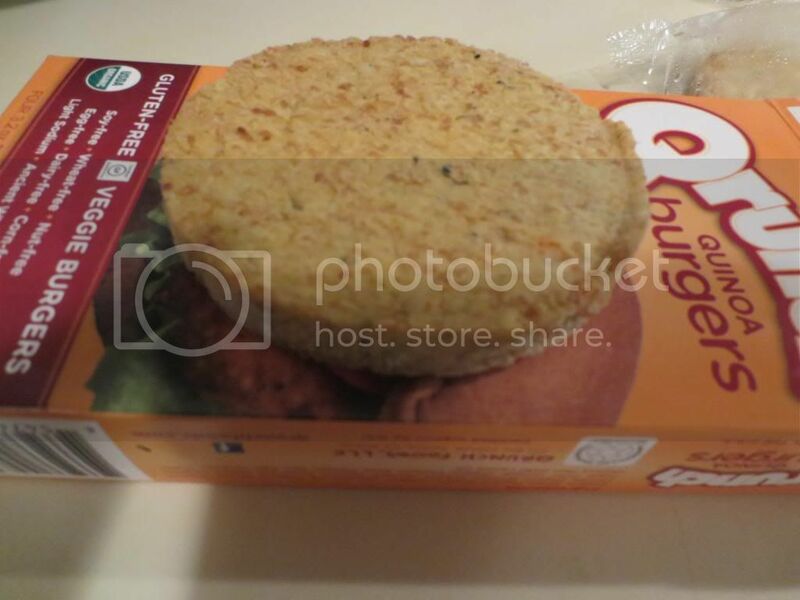 It’s a veggie burger that I don’t have to sit there and ponder the contents of the box. It’s all laid out…right on the packaging. No second guessing. No searching the internet for an FAQ on the company. No secrets. Nothing to hide. That’s what I first loved about Qrunch Foods Qrunch Burgers. THE BEST VEGGIE BURGER EVER! Don’t believe me? Try it yourself. But…trust me…you’ll want to believe me. Oh yes…what is a Qrunch Burger. The answer to this is simple. It’s a veggie burger that is “powered” by the superfood – quinoa. And, as a gluten-free vegetarian, we all know that quinoa is one of my most favorite things in this world. But the awesomeness doesn’t end there. This burger is also loaded with organic millet and organic vegetables. It is free of virtually all common allergens (gluten-free, dairy-free, soy-free, corn-free, wheat-free, egg-free, nut-free) and made in a gluten-free facility. These burgers are made from all natural ingredients and do not contain any artificial flavors, colors or GMOs. Being that it is Memorial Day, my roommate and I decided that we would have the customary all-American holiday feast. But for us…that means veggie burgers (as opposed to hamburgers) and hand cut shoestring fries, which I bake in the oven to crispy perfection. I had a box of the Original Qrunch Burgers in my freezer. As I received a CSA bin with plenty of fresh veggies that I could utilize for these burgers. Yep…we were good to go. So, after I made fresh guacamole to go on the burgers (trust me…it’s awesome) and I got the potatoes cut, seasoned, and into the oven, it was time to turn my attention to the actual burgers. I pulled out my skillet and got it warming up while I pulled the box of Original Qrunch Burgers out of the freezer. Once my skillet was properly heated, the patties were put on to cook through. This takes about 5 minutes on each side. I went ahead and put a slice of vegan cheese on the patties to go along with the rest of the Memorial Day festivities. Once each side had been properly warmed and browned on the skillet, it was time to dress the burgers. I didn’t have any gluten-free hamburger buns on hand this week…so I used gluten-free bread. I dressed the bread with a light coating of vegan Sriracha sour cream, then placed the red leaf lettuce down. The Original Qrunch Patty was next, followed by a tomato, red onion, and then a spoonful of my homemade guacamole. I adorned each plate with a healthy serving of my hand-cut shoestring fries. With the burger assembled, it was now time to settle in for the holiday feast. I wasn’t sure what to expect when I took my first bite. I’ve had some pretty epic fails when it has come to taste and texture of veggie burgers. While most have been passable, the gluten-free varieties just don’t seem to live up to the standard other veggie burgers I used to be able to eat (can’t anymore…because they have gluten in them) laid down. That is not the case anymore. I took one bite of my Original Qrunch Burger and was in a new happy place. Honestly. What I loved about these was not just the flavor, although it is definitely the best I have had…to date. The texture is awesome. The outside of the patty gets this nice crunch to it. The inside…soft, with that perfect “meatiness” to it that actually makes you believe you are, in fact, eating a burger. I loved how seasoned this patty was. You can even see the organic onion, organic carrots, organic broccoli, and organic spinach in the patty. Nothing fake about these burgers. Seasoned to perfection with garlic and kosher salt. The flavors just popped in my mouth. I was so happy that it took everything in me not to just go into devour mode and shove as much each bite into my mouth at a time. I savored…and I’m glad I did. Nutritionally speaking, these burgers do rate a little higher on the calorie scale. One patty is 190 calories and contains 11 grams of fat. So…probably not one of the leaner options out there, but not bad as a whole. I’ve definitely encountered worse. Each patty will also supply you with 2 grams of fiber and 4 grams of protein. Love that quinoa…a protein powerhouse! In addition, these patties are low in sodium, topping out at 150 mg. Loving it. For a burger that elliminates so many foods and allergens from their line-up of ingredients, what emerges is one of the most amazing veggie burgers I have ever had the simple joy of eating. I don’t think any other burger will find its way back into my freezer. Qrunch Foods has definitely raised the bar with their highly delicious and very tasty Original Qrunch Burgers. In fact, it seems that other people agree. In a recent taste test done by the Washington Post Food Section, the Qrunch veggie burger came in third on overall merits. And…it was the only allergen-free burger in the top seven. So, it’s not just me. Others agree that Qrunch Burgers are something special. I noticed these are also available in a Spicy Italian flavor. Oh yeah…I’m going to be trying that out. And very soon. 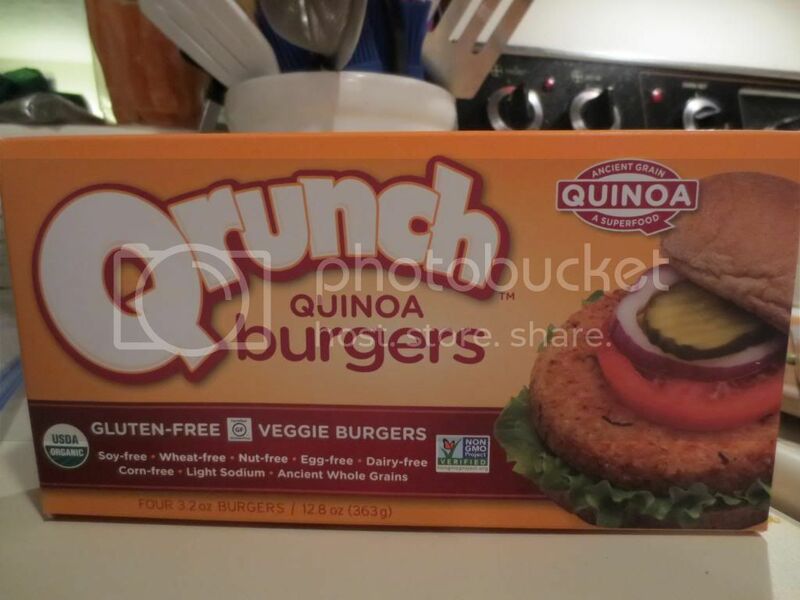 If you’re looking for a different flavor or a different sort of veggie burger…Qrunch is the way to go. Honestly. Veggie burgers have great potential…but these blew away the competition. No question about it. Qrunch rocks! 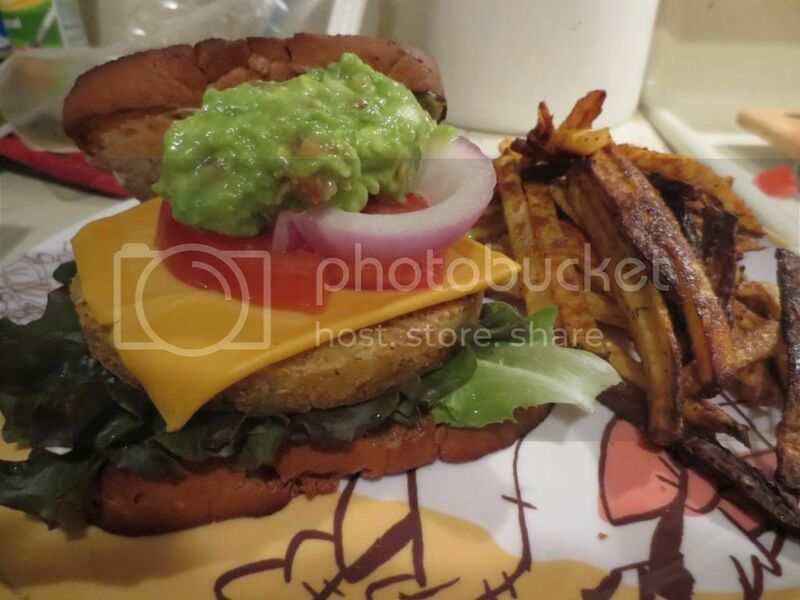 This entry was posted in Burger, Cheese, Entree, Food, Frozen, Gluten-Free, Products, Quinoa, Review, Vegan, Vegetarian, Veggie Burgers by The Celiathlete. Bookmark the permalink. I agree that Qrunch burgers are good, but they’re essentially the knock-off, less-nutritious version of Hilary’s Eat Well veggie burgers and bites. I used to buy Qrunch all the time and then I found out there’s a way better version out there. Her website is http://www.hilaryseatwell.com — look at this and you’ll see what I mean!! Thank you!! I have never seen or heard of that brand but I’m going to go check it out now. I appreciate the tip! Please help me find these in my area, or do you do shipping? I found mine at my local Whole Foods and other natural food stores. Start there. If you are still having trouble, I’ll see what I can find out.